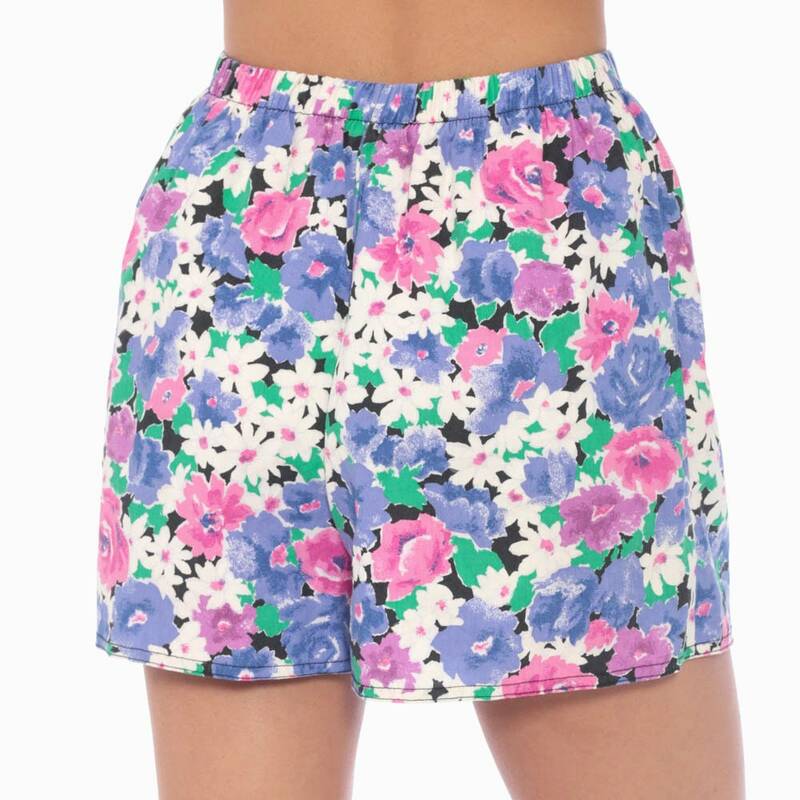 Vintage 80s 90s shorts in a floral print with a high elastic waist. Has a nylon lining. 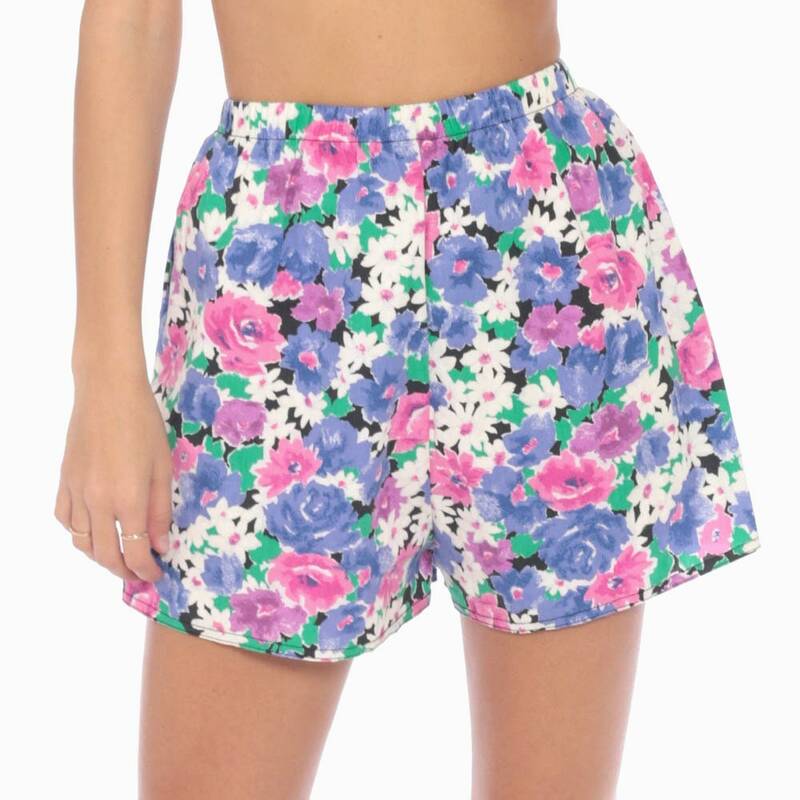 Material: Feels like a Cotton / polyester blend with a Nylon lining.